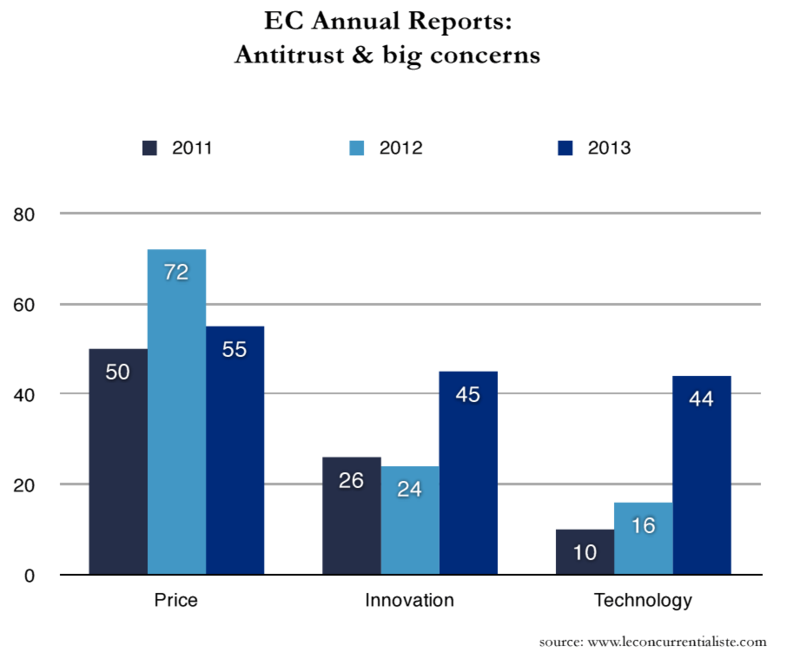 This post is from our new series dedicated to statistical analyses of antitrust law. We called it: “Let’s Stat”. 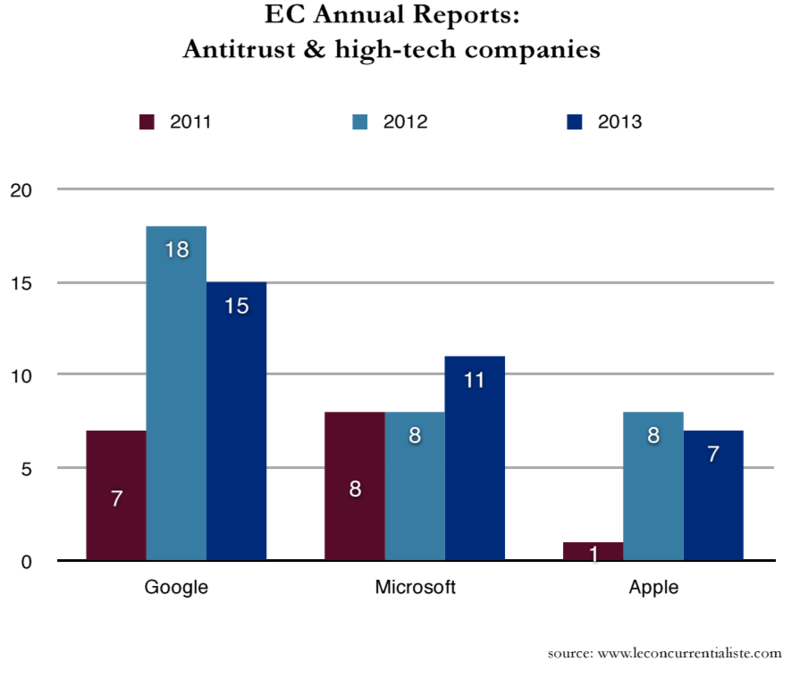 (please find the Annual Report of 2013, the Annual Report of 2012, and the Annual Report of 2011). 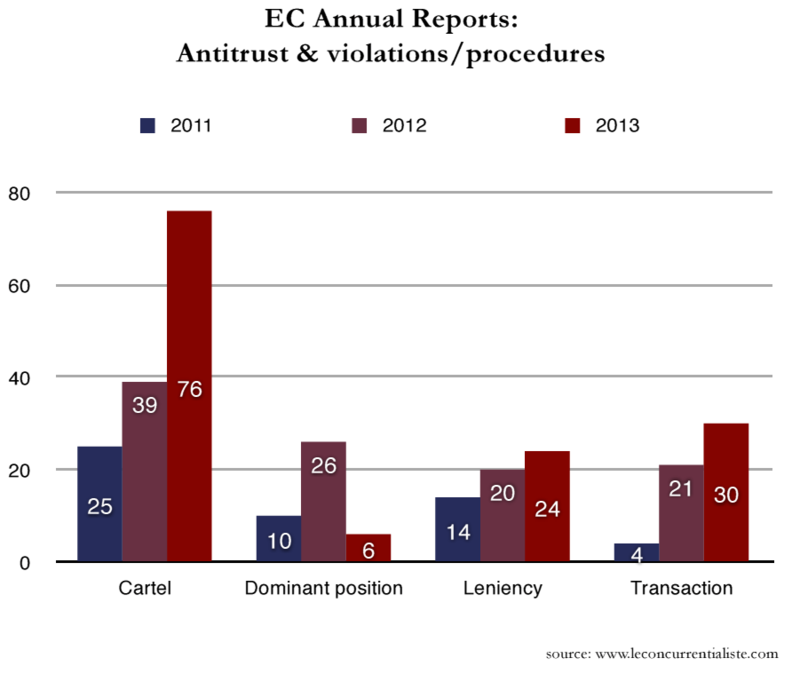 Here’s some statistical analyses on the EC’s annual reports of the last three years (from 2011 to 2013). We looked for how often some keywords are used by including all three Commission Staff Working Papers. For 2013: the new focus is innovation. 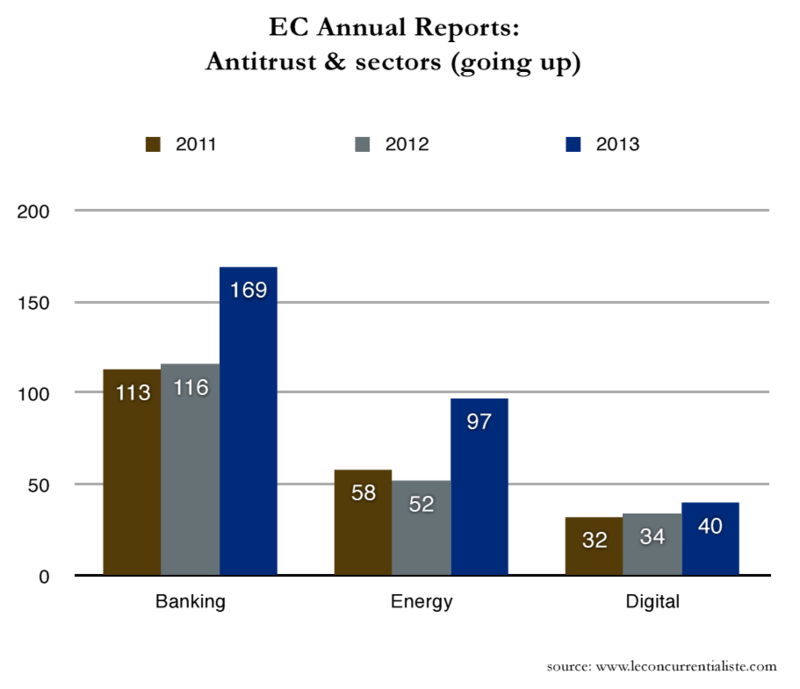 SEPs appear for the first time in the Annual Report, FRAND agreements are more developed and, of course, banks are very central in many analyses (due to EC’s 4 December 2013 decisions). 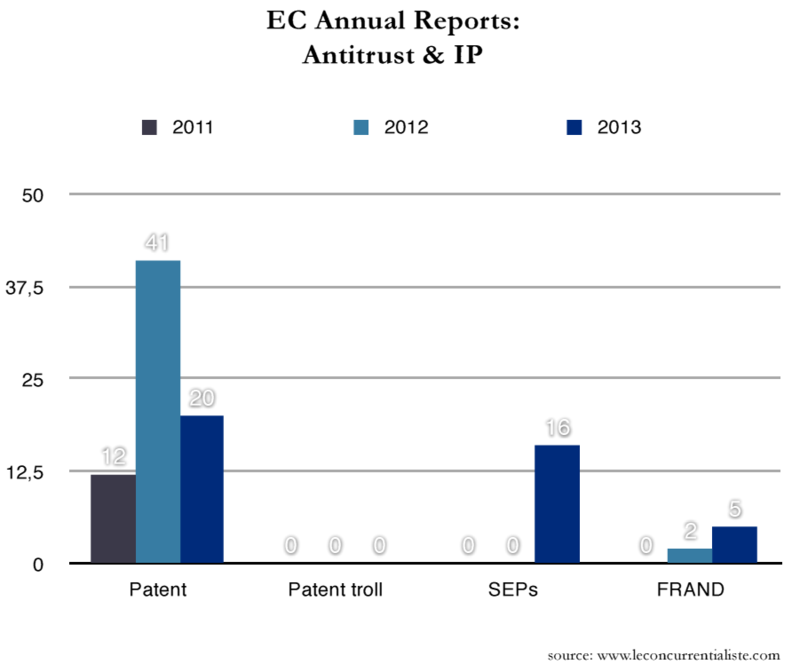 It is still surprising to note that “patent trolls” remain absent of the report. 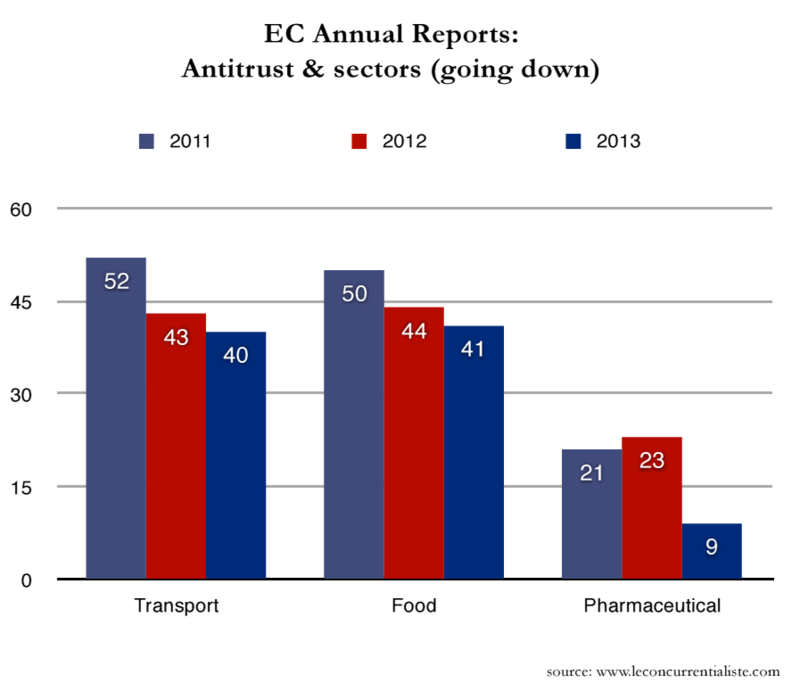 For 2011: All classical EC’s focus areas are at the centre of the Annual Report (food, pharmaceutical, energy, transport).